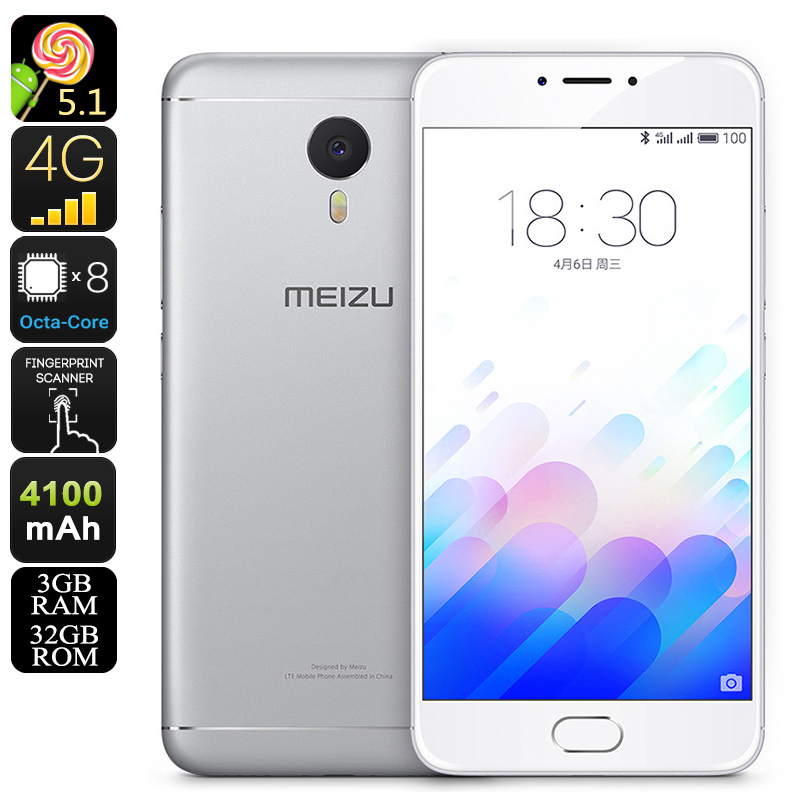 Successfully Added Meizu M3 Note Android Smartphone - 5.5-Inch FHD Display, Dual-IMEI, 32GB, Octa-Core CPU, 3GB RAM, 4G, 13MP Camera (Silver) to your Shopping Cart. The Meizu M3 Note is a sophisticated budget phone that, despite its affordable price, comes with great specs. Packing the Helio P10 MTK6755 processor, this Android phone is capable of efficiently dealing with the most demanding of tasks. Built to deliver a speedy performance, this Octa-Core CPU that has been clocked at 1.8GHz can tackle the latest games, media, and mobile applications without dropping a single frame. Added to its powerful processor comes 3GB of RAM that opens the doors for excessive multitasking sessions – making this Chinese smartphone suitable even for the most demanding of smartphone users among us. Whether you’re into online gaming, enjoy Full-HD movies, or like to take advantage of the latest and most demanding applications – there is nothing this budget Android phone can’t handle. With its Android operating system, the Meizu M3 Note comes packed with the latest features that all Android users are familiar with. Thanks to its epic 4100mAh battery, this Android smartphone packs enough juice to get you through the most demanding of days without needing to worry about battery life – allowing you to take the absolute most out of all the amazing features the Meizu M3 Note has to offer. Supporting up to 32GB of internal storage and an additional 128GB of memory externally, this Android smartphone is guaranteed to hold enough space for you to store all your files and media alike. Simply head out to the Play Store and download the latest mobile games and applications – with this 5.5-Inch smartphone in your pocket you’ll be able to carry along a years’ worth of entertainment, assuring that you’ll never have to be bored again. Within the sleek and beautiful design of this Android phone lies an absolutely stunning 5.5-Inch Full-HD display that portraits all your favorite media in breathtaking 1080p resolution. By delivering stunning detail and vivid color, this high-end display is capable of providing you with truly cinematic experience from the palm of your hand. Besides offering you the possibility to enjoy all your favorite movies and games in mesmerizing beauty, this 5.5-Inch FHD display furthermore provides you with a perfect platform on which to watch back all the pictures and video’s that you snapped with the phone’s intergraded 13MP camera – allowing you to recall and share memories like never before. Featuring 4G connectivity and Dual-Band Wi-Fi, the Meizu M3 Note is and Android phone that lets you enjoy lightning fast data speeds no matter where you’re at. Stream online movies and download the latest applications in the blink of an eye – with this 4G smartphone at your side a laggy internet connection will be an issue of the past. Additionally, this Android phone also features Dual-IMEI numbers, allowing you to be connected to two 4G network providers and to be reachable on two separate phone numbers at all times – truly enhancing your overall connectivity.